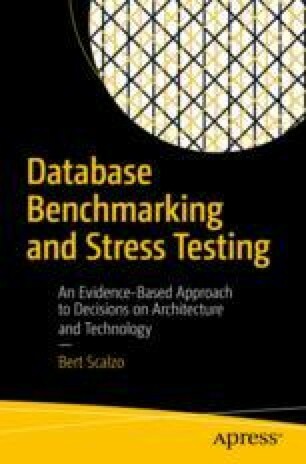 In this chapter we’re going to review benchmarking considerations for when you’re considering or moving database instances and their databases to the public cloud. This chapter is purposefully kept short in order to focus on just the main issues, because the cloud has so many variables plus it is evolving every day. A whole book covering just the topic of deploying databases in the cloud would fill a volume all by itself. So here we must concentrate on the big-ticket items that are of the most value.